BIG CYPRESS — Crystal Wilcox wanted to start a business but wasn’t sure what she wanted to do. 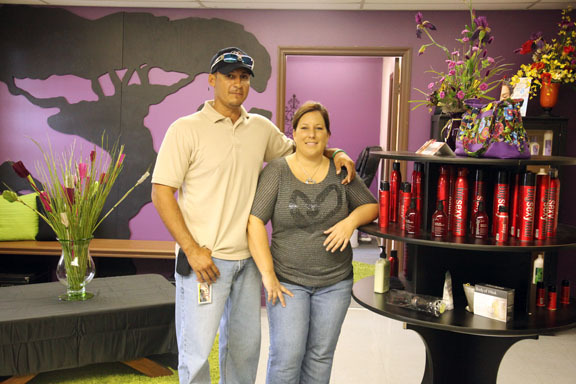 While attending a 5-year-old’s birthday party with her daughter at a beauty salon in Fort Myers, she was inspired to open a salon of her own in Big Cypress. That dream has become a reality with the opening of Sweetgrass & Serenity Spa Salon Boutique on Nov. 13. Crystal, a cosmetology student at iTECH in Immokalee, never saw herself in the beauty industry until now. Having a daughter, Jalee, 7, changed her perspective. Crystal enjoys helping other people find their beauty. Owned with her husband, Cory Wilcox, Sweetgrass & Serenity is a full-service salon, spa and boutique. The salon, located in the old Bureau of Indian Affairs building, has separate rooms for hair, nails and facials and for the boutique. Before they opened, the Wilcoxes renovated the entire 1,000-square-foot building and put in new plumbing and electricity to prepare it for business. Services offered include hair care for men and women, facials and peels, waxing, makeup application, manicures and pedicures. The salon offers specific services on different days of the week. Wednesday, for example, is barber day, and Tuesday, the esthetician is there to give facials. Future services will include massages and possibly chiropractic services. The hairdresser and nail technician are available daily. The boutique also features Native American-made jewelry, handmade purses, flower arrangements and customized flip-flops and cell phone cases. The Wilcoxes believe more businesses could do well in Big Cypress. “Just follow your dreams and run with it,” Cory said. Sweetgrass & Serenity is located across from the Big Cypress Field Office at 31025 Josie Billie Highway. Hours are Tuesday through Friday, 10 a.m. to 6 p.m.; weekends are by appointment only. 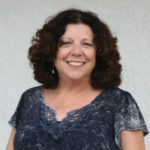 For more information, call 863-902-1224 or email SweetgrassAndSerenity@aol.com. Senior profile: Marcellus Osceola Sr.
Seminole Unconquered electronic cigarettes will be first made in U.S.